How much is Neil Giraldo Worth? Neil Giraldo net worth: Neil Giraldo is an American musician who has a net worth of $40 million. That is a combined net worth with his wife of 30+ years, Pat Benatar. Neil "Spyder" Giraldo was born in Cleveland, Ohio in December 1955. 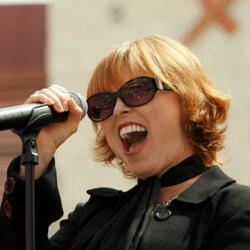 Giraldo is perhaps best known for being the husband and lead guitar player for Pat Benatar. He has performed on all of her albums. Neil is also a highly successful producer in his own right. Neil started playing guitar at six years old and learned to play piano at 12. Before playing for Benatar he performed with Rick Derringer's touring band. Giraldo appeared in the Benatar video "You Better Run" which made him one of the first guitarists on MTV. In addition to playing guitar Neil has composed and produced many tracks for Benatar. He has also worked with artists such as Rick Springfield and Kenny Loggins. Giraldo also scores films and married Pat Benatar in 1982. The couple has two children together. His work has sold resulted in over 45 million albums sold worldwide. 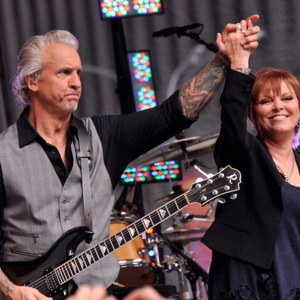 Pat Benatar and Neil Giraldo Net Worth From Real Estate: In 2017 Pat and Neil sold their longtime Maui home for $3.2 million. Situated on slightly more than an acre, they also previously owned the empty lot next door which was sold for $400,000. In 2007 the couple purchased just under 10 acres of undeveloped land in Malibu, California for $1.675 million. They slowly turned this property into a large primary residence which today is likely worth north of $10 million. The have owned at least two other properties in Malibu, including one that they sold in 2003 for $4.5 million and another they sold in 1999 for $3 million. In total the Benatar/Giraldo real estate portfolio alone is likely worth at least $10-15 million.